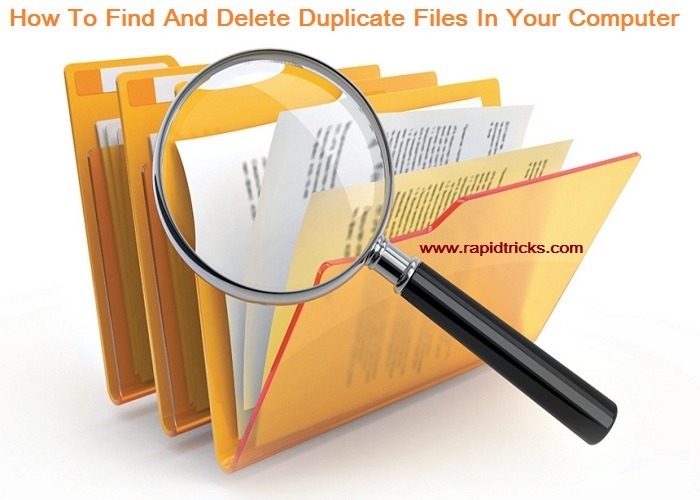 Hello trick lovers, today i am here with a new post on “How To Find Duplicate Files And Delete Them In Your Computer”. You may be aware that the duplicate files in your PC are not only confuse you but also it waste your computer’s Hard Drive space. But you will be happy to know that there is a trick, by which you can easily find and remove duplicate files in your computer system. So let’s have a look on the article based on “Removing Duplicate Files In Your Computer. In our daily life we do copy pasting work many times in a day. When we are doing copy and paste a file in the same directory where the file is already exist then our computer ask us to replace it or stop copy, but if we copy and paste a file which is already exist in our system in other directory, then it will never ask you to replace or over write. Suppose if we are copying a movie in our system and that movie is already exist in the other directory or folder in our PC, then it will waste our hard drive’s 1-4 GB space easily. So now you can have an idea how much space in your system is taken by the duplicate files, but now we have a solution for this problem. There are two methods by which we can easily find duplicate files removing them in our computer system. 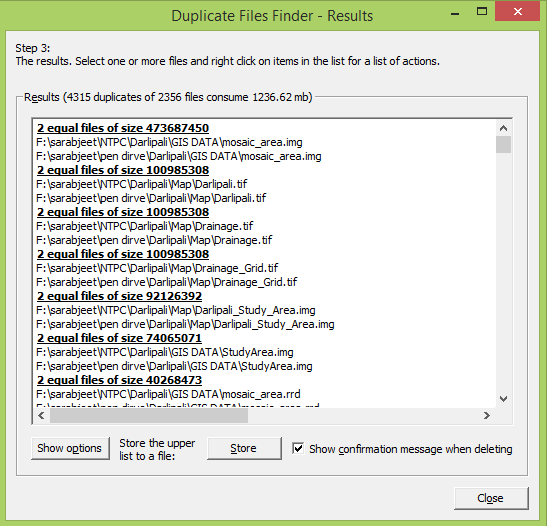 So let’s have a look on these two methods of removing duplicate files from PC. I will tell you the two methods of finding and deleting duplicate files in your system, both methods are equally useful and both are based on duplicate file finder. By these methods you will be able to find those files, which have more than one copy and their path in your computer. 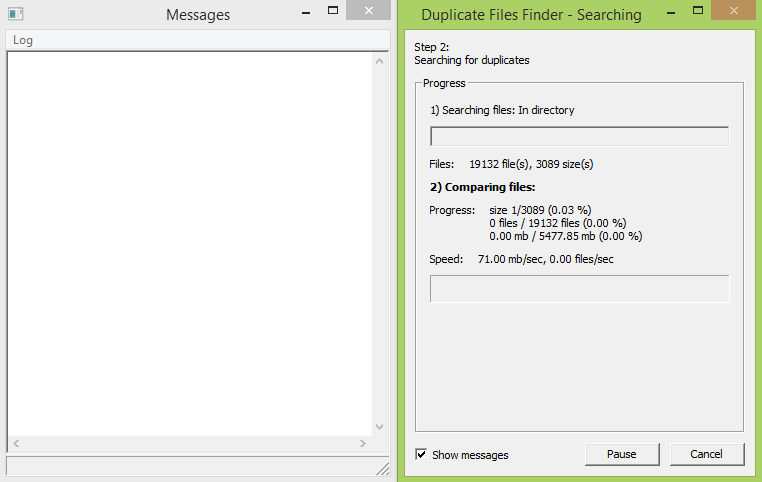 Follow the step by step guide given below to find duplicate files and remove them on a computer. 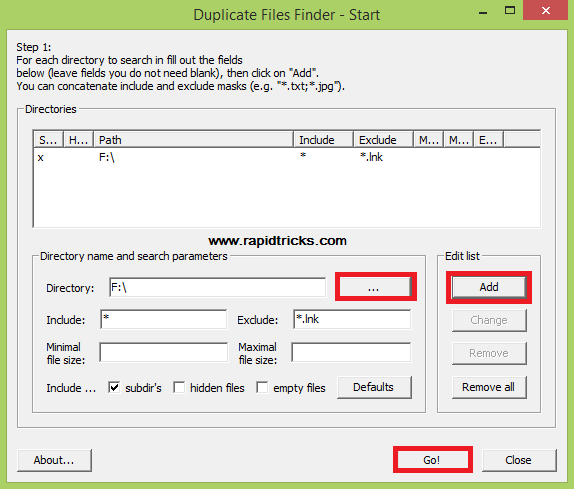 First of all you will need to download Duplicate Files Finder from here and install it in your computer. As you can see above in the picture, here you will have to select the directory on which you want to find duplicate files. Now click on the add button to add this directory and now click on GO! button in the bottom. Now it will start scanning files on that directory as you can see in the screenshot given below. After scan completed, if it find any duplicate files in that directory then it will show them and their path into the box as you can see below. (Check the screenshot). After finding those files and their path, you can delete those files to save memory of your computer. 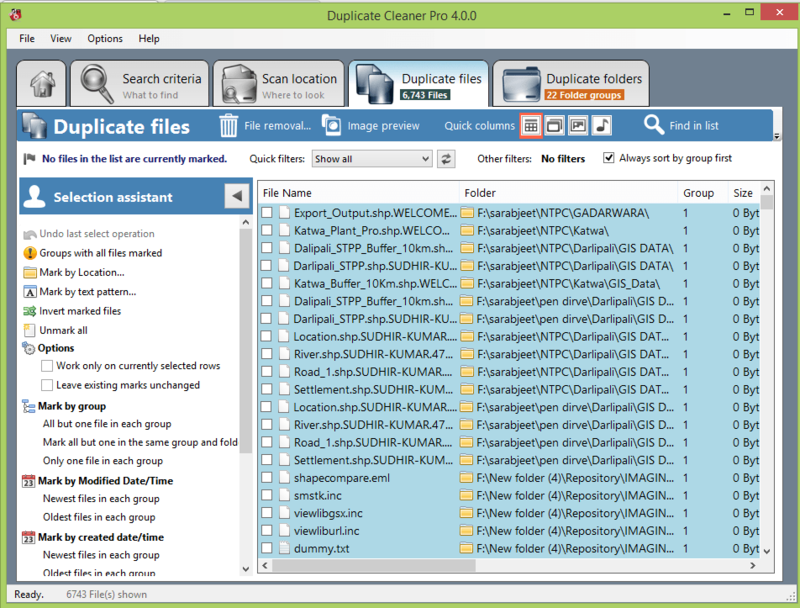 Digital Volcano Duplicate Cleaner is another program to find and clean duplicate files on your PC. Just follow the steps given below to find out duplicate files and remove them from your computer. First of all download Digital Volcano Duplicate Cleaner and install it into your computer. 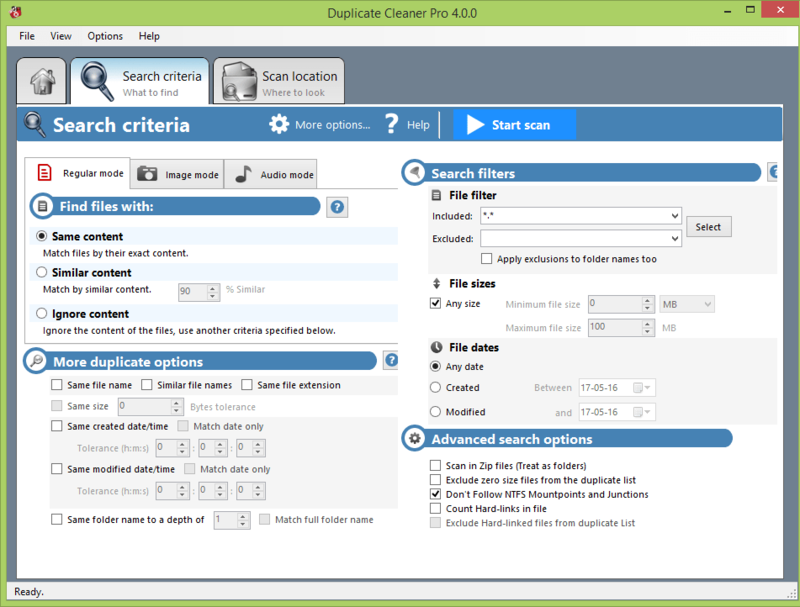 Now open the software and here you will need to select the scan criteria and click on start scan to perform the scan for duplicate files. Now scanning process will start, just wait for few minutes till the scan completed. After scan complete you will see a dialogue box “Scan completed’, close that box and in another window you will see all the duplicate files, their path and size of those files. Just delete those duplicate files to save space on your computer’s hard drive. That’s it, now you can save your hard drive’s precious space by using this method. So above we have told you the two methods for finding and deleting duplicate or same files in a computer’s hard drive. By using these methods your computer will be free from duplicate files, and you will easily find duplicate files and eliminate those files from your computer to save memory. Also you will notice a significant speed-up in your computer’s performance after deleting those duplicate files. The softwares we have used in these two methods are most using softwares to find duplicate files in any pc. So we are recommending you to use these duplicate file finder, and increase your computer’s performance. Hope you liked our article and if you like this post, so please don’t forget to share it with others. Stay connected with us for more cool tips&tricks of windows, iOS, Android, etc.